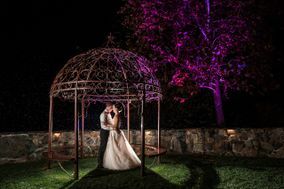 Lancaster, PA has everything a couple planning a rustic chic wedding could want, from rich history to natural beauty to farm-to-table catering that's as hyper-local as it is delicious. 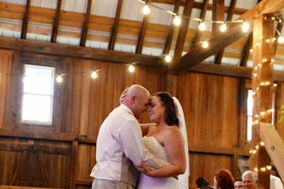 There are pastoral wedding venues in Lancaster like restored barns and farmhouses, but country weddings aren't all that Lancaster has to offer. 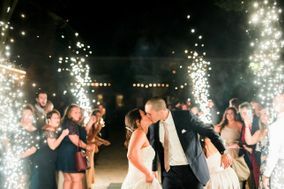 There are industrial-chic boutique hotels, artist spaces, and more, all romantic and all convenient to a stately downtown that is also home to a surprising number of professional wedding DJs. 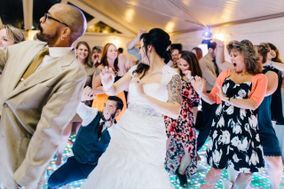 Choosing a Lancaster DJ service can seem like a task you can safely leave until the very last minute but keep in mind that the music will set the mood for your entire reception. 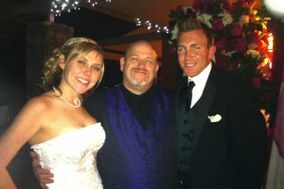 A great wedding DJ will be energetic, outgoing, experienced, and professional. 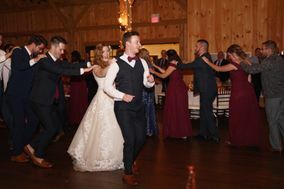 They should be able to provide references that prove they're capable of not only entertaining wedding guests, but also meeting your specific wedding day wants. And if they're competitive, they should be charging about the national average. 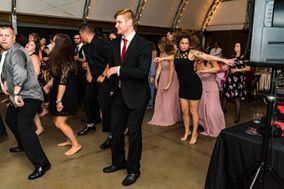 They'll also be flexible when it comes to attire and your playlist, and have a backup DJ that they can call if they can't make it to your wedding because of an illness or an emergency. 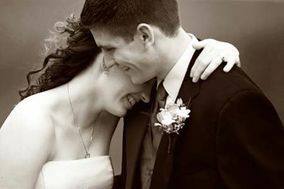 And finally, they'll be able to work within your wedding budget. 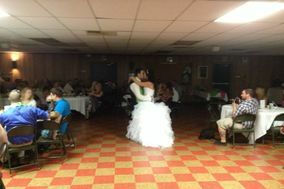 Remember, the best Lancaster DJs are typically booked a year or more in advance. The same is true if you're booking a wedding band. 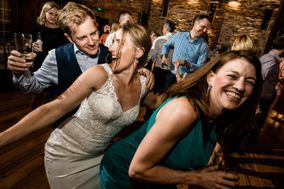 When interviewing Lancaster wedding DJs, there's no limit to what kinds of questions you can ask (or what kinds of requests you can make). 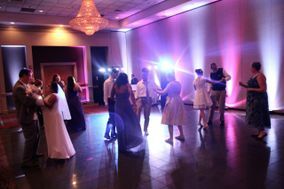 In general, though, it's good to start off by asking about availability, rates, equipment, and whether the DJ has a video you can watch to learn more about their performance style. 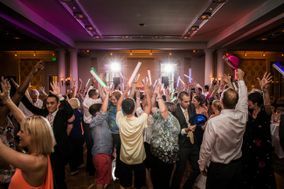 Many couples are also curious about do-not-play lists and how a DJ will handle requests. No matter what, be sure to ask about references. 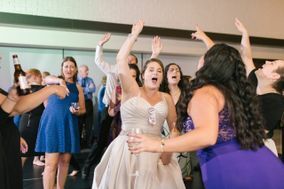 As you interview Lancaster wedding DJs, keep track of the ones you like in a wedding vendor manager or on a spreadsheet so you don't lose their contact info. 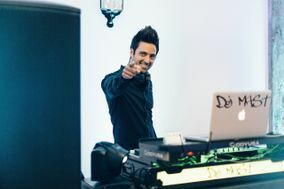 Your wedding DJ will do more than just play music. 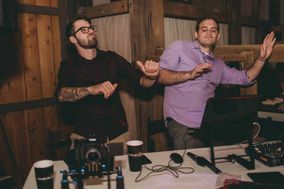 A DJ may be the spokesperson for your wedding, helping guests feel welcome and appreciated, as well as a coordinator keeping your reception on track by crafting the transitions that take you from your grand entrance to your last dance. 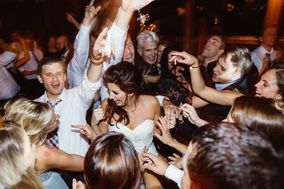 Many couples don't realize how large of a role a DJ can play when it comes to ensuring a wedding reception unfolds smoothly. 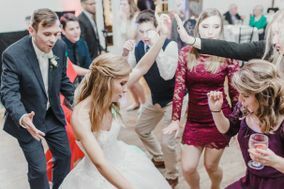 Additionally, a majority of wedding DJs offer extras like lighting, video, and fun stuff like photo booths and karaoke machines - though some Lancaster wedding DJs will stick to mixing music. 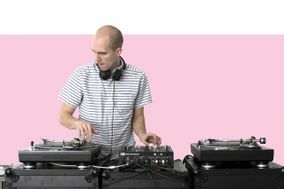 As part of wedding planning, be sure to ask your DJ what add-ons they offer and whether they cost extra. 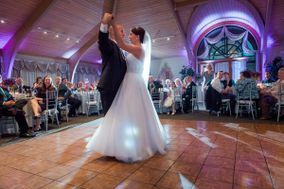 WeddingWire is here to help you find the perfect Lancaster wedding DJ and more! 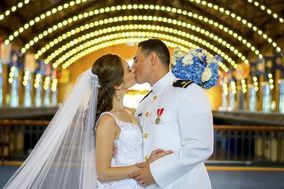 Get started with our wedding checklists, which outline all of the tasks you'll need to tackle to plan the wedding of your dreams.